Lucky daughter! It's beautiful, Thelma! 584 pieces? That is a lot of love. Your quilt is wonderful. I clicked on the picture and got a larger view and the colors all go so well together. 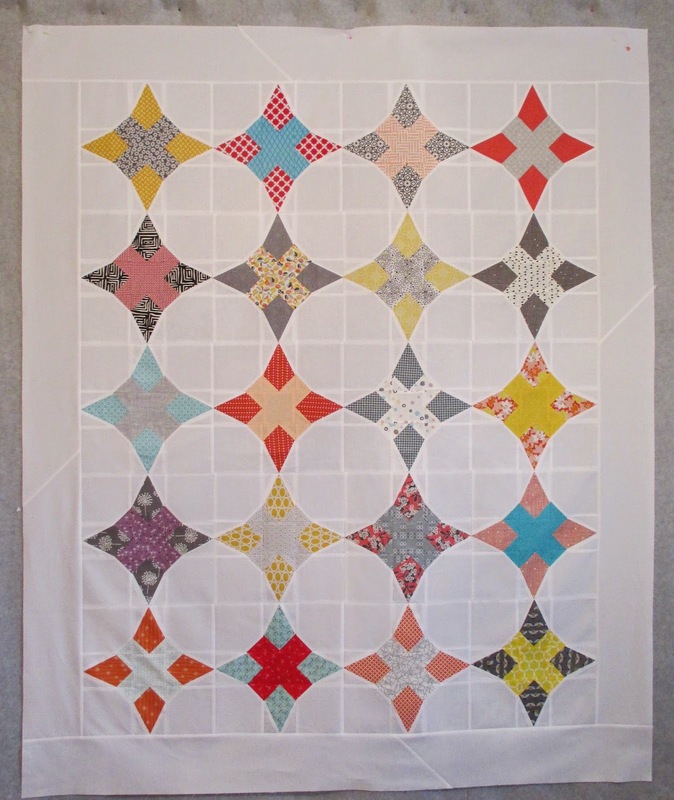 Love this quilt top... very modern looking. Baby quilts are so fun and quick... enjoy! Perfection! I love everything about this one, Thelma. The fabrics are perfect for this pattern. Love the quilt! 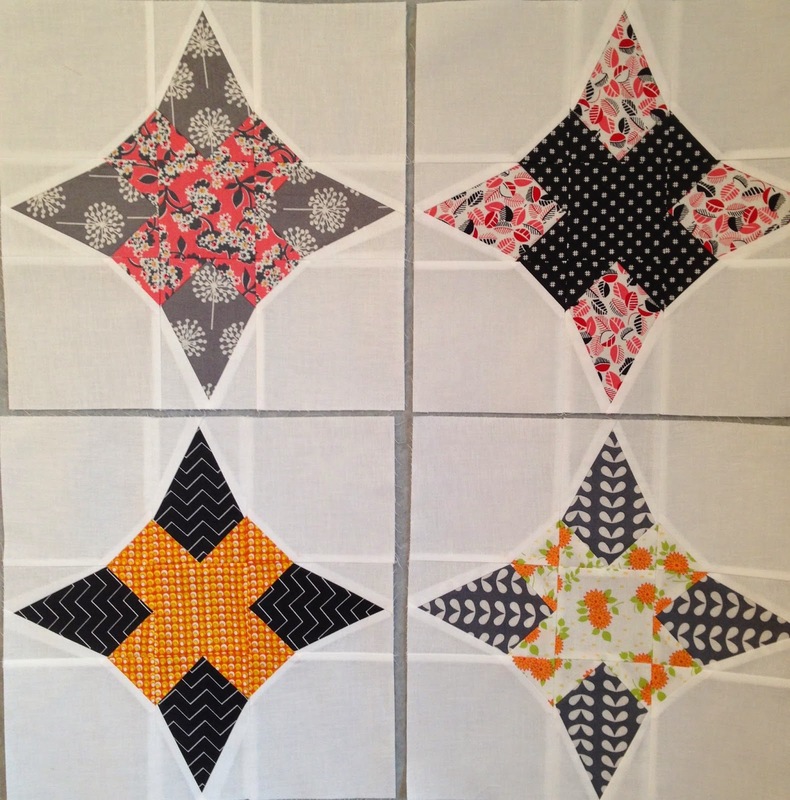 You could use the leftover blocks on the backing or make a lable for the quilt with them. I think those the four reject blocks look good together and would make a nice pillow for your daughter's sofa. It's beautiful. Was is hard to do? I always end up making extra blocks for a quilt because I'm kind of picky and want everything just so. I think it's just fine. :) It's just that I don't know what to do with that big pile of extra blocks in the container in the closet! Absolutly love the quilt! The leftover blocks would make a great mini quilt too. The blocks all play well together.